Bangladesh had completed a first spell of Test matches which ended in May 2006 and then the team got a 13 months break from the Test-World. Despite all the criticisms from many, it can be said that the first 5 years have been nothing but the customization phase for the team. Let us see what remains for the next phase for the team. 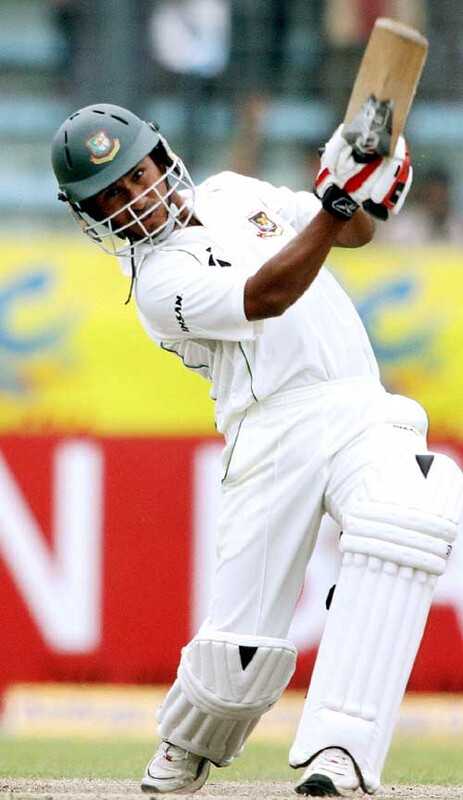 Bangladesh had completed a first spell of Test matches, consisting of around 5 years of play, which ended in May 2006 and then the team got a 13 months break from the Test-World. Despite all the criticisms from many, it can be said that the first 5 years have been nothing but the customization phase for the team. There has only been glimpses of promises and a lot to forget as well. Right now, at the beginning of the second round, things are quite different for the team. The team itself has a fresh look, with a number of newcomers. There will hopefully be a new coach, and they already got a new package of captain and vice-captain. Not just that, even the expectations from them are not the same anymore. And that, mostly, is because of their ongoing One-Day successes over the last 2 years. Supporters and fans have learnt to dream, they have started to go impatient when the team appears to lack motivation and zeal. But that is just one side of the story. That is just the story of the dreams and frustrations of a huge 150 million population. Itâ€™s a picture drawn with emotional colors of patriotism and ego. It is all good, only when backed up with true vision, constant efforts and self-evaluation. However, there is a completely different side of the story which depicts the Test match track-records of the Tigers as anything else but effective enough. I will not even try to assume or hope how the Tigers might or might not do with the injections of fresh blood, or under the new captain and coach. But after watching them play Test matches for around 6 years, I have to say that there are some very crucial missing links still quite obvious in their approach towards the game and in their mindset as a whole. Except for maybe one or two players, almost all the batsmen lack the patience required to see off the first few overs and get himself settled in the play. They take the pressure upon themselves by not rotating the strikes and tries to play big shots too early in their innings to ease off the pressure. Their mindset is still totally overcast with the One-Day format of the game and when they are unable to get boundaries, their scoring practically stops. It results in frustration and ultimately make them gift their wickets. Building a long, patient, and big innings is something still quite absent in the mindsets of our batsmen. Once again, owing to the One-Day mindset, a quick fire 50 appears more appealing to most of the batsmen. Whereas, the scale at which the batsmen must judge himself in Test matches is quite different. Occasional 50â€™s might make a batsman quite handy in ODI games, but its not the case for Test matches until someone has the potential to convert those 50's into occasional 100â€™s. The patience and the willingness to play long and according to the situation are still very much lacking in almost all the Batsmen of the team. Selfishness, as I have said before, is vital for the strength of a developing team like ours. In a Test match, every batsman has to put a price to his wicket. Even it may sound stupid, but every batsman has to be stubborn not to give away his wicket before he reaches at least the half-century mark, no matter how long it takes him! Except for one or two, such a stubborn face in the team is still a rare commodity. Test match bowling is practically more demanding than ODI version of the game. Considering the strength of our existing and backup bowlers, I would say we still lack one good pacer and one good spinner for the 5th bowling spot. Otherwise, there is not much we can do about Test match bowling immediately. Test matches are highly dominated by batsmen and itâ€™s the amount of runs scored with patience which decides the final outcome. No matter how good we bowl, it will always be impossible to get ourselves in a position from where we can even draw a match with the style and mindset of batting that the team approaches the game right now, let alone winning a match! The overall thinking scale of the team in terms of batting is still set very low, and very much in the One-Day format. For this very reason, the Bangladesh team ends up scoring a One-Dayish 250-300 runs with a One-Dayish strike rate in almost every innings of Test matches. Unless we improve our batting by a huge margin and with proper mindset, we will only keep getting glimpses of hopes while we play a relatively weaker Test team, or only in cases when the other side has an equally bad batting-day as ours. Instead of waiting for the other team to bat poorly, we need to start batting well enough ourselves soon, unless we still want to retain our identity as â€˜the whipping boysâ€™ in Test Arena. This page has been viewed 7237 times.